Artist impression of the Sunway Wellesley Phase 1, which consists of 31 units of three-storey shop offices. SUNWAY Bhd's property development division is on track to achieve its targeted sales of RM1.3bil this year. The property development and construction group has done RM1bil in property sales to date, says managing director of property development division (Malaysia) Ho Hon Sang. The major drivers of Sunway's property sales this year include new phases at Sunway South Quay in Bandar Sunway, and Sunway Velocity in Kuala Lumpur. Ho points out that the group's recent commercial property offerings Sunway Geo @ Sunway South Quay, Sunway Velocity's Phase 3C1 and Sunway Wellesley Phase 1 in Penang had recorded take-up rates of more than 80% during previews. The gross development value (GDV) of these projects' phases is RM700mil. “Besides the strategic locations, these developments are well-planned, with good facilities, infrastructure, security features and incorporate great concepts. They have great potential for excellent capital appreciation,” says Ho. The retail shops are sized at 4,975 sq ft onwards while the flexi suites are sized at 462 sq ft onwards. They have a combined GDV of RM400mil. 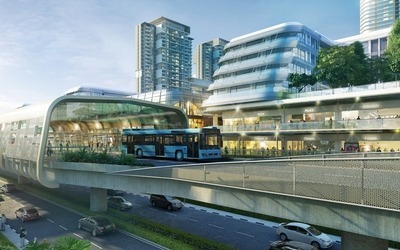 Sunway Geo will benefit from the proposed elevated Bus Rapid Transit-Sunway Line. Sunway Geo is a 23.4-acre mixed development consisting of retail shops, flexi and office suites, serviced apartments and condominiums. It is located next to the award-winning Sunway Resort City, which was recently certified as Malaysia's first green township by the Green Building Index. Sunway Resort City is home to 200,000 residents and 33,000 students. It welcomes 36 million visitors yearly. Sunway Geo is an enhanced version of the group's successful retail concept at Sunway Giza and Sunway Nexis located in Dataran Sunway (Kota Damansara), which featured a covered central boulevard and vibrant alfresco food and beverage dining concept. Ho says the success of Sunway Geo was due to its innovative retail concept, accessibility and connectivity. It also enjoys a large catchment pool due to its proximity to Sunway Resort City with amenities such as Sunway University, Monash University, Sunway International School, Sunway Medical Centre, Sunway Pyramid, Sunway Lagoon and Sunway Resort Hotel and Spa. Sunway Geo is also expected to benefit from the proposed elevated Bus Rapid Transit (BRT) Sunway Line that will run through the township and connect to Setia Jaya KTM Komuter station and an upcoming light rail transit (LRT) station at USJ, Subang Jaya. Meanwhile, strong sales were also seen recently for Sunway Velocity's Phase 3C1, which consists of 276 designer offices and 12 retail shops priced from RM537,000 and RM3mil respectively. The retail shops are sized from 2,244 to 4,268 sq ft while the office units are sized from 678 to 1,297 sq ft. They have a combined GDV of RM251mil. Sunway Velocity is a freehold 23-acre integrated development that is located 3.8km from Kuala Lumpur City Centre. It will feature an integration of five elements retail, office, residence, boulevard and garden. Sunway Velocity is also planned with a one-million-sq-ft lifestyle shopping mall that will be managed by the group. The development is bordering Jalan Peel, Jalan Cheras and Jalan Shelly, and is reachable via Jalan Tun Razak, Jalan Loke Yew and Jalan Pudu. It will benefit from two upcoming MyRapid Transit (Cochrane and Maluri) and two existing LRT stations (Maluri and Chan Sow Lin). Ho also says there was strong response to Sunway Wellesley Phase 1, which consists of 31 units of three-storey shop offices priced from RM972,000. The 60-acre Sunway Wellesley is surrounded by the Jit Sin Independent High School, AEON Seberang Prai City shopping centre, KPJ Penang Specialist Hospital and Bukit Mertajam High School. It enjoys accessibility to North-South Expressway, Butterworth-Kulim Expressway and the Penang Bridge and is located within half a kilometre from Bukit Mertajam town centre. Sunway has undeveloped land bank of 2,780 acres, with a possible GDV of RM32bil. About 93% of the group's undeveloped land bank is in Malaysia (mainly in the Klang Valley, Ipoh and Johor), with a GDV of RM24.5bil. The balance is in Singapore (one acre with GDV of RM95mil), China (95 acres with GDV of RM5.4bil) and other countries in the Asia-Pacific region (103 acres with GDV of RM1.3bil). The group's launch plans in the Klang Valley in the final quarter of this year include townhouses in Sunway Montana (phase two) at Desa Melawati in Kuala Lumpur, cluster homes in Sunway Alam Suria (phase 2C1) in Shah Alam and three-storey park residences in Sunway Eastwood (phase two) in Puchong. In Penang, it plans to launch three-storey terrace homes in Sunway Cassia (phase two). 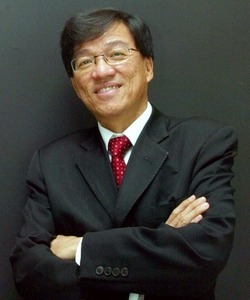 Meanwhile, in Singapore, the group has been involved in residential developments with Hoi Hup Realty Pte Ltd since 2007. Sunway's ongoing projects in Singapore are Vacanza @ East (high-rise development with a GDV of RM1.23 bil), The Miltonia Residences (low-rise development with a GDV of RM952.5mil), Arc @ Tampines (high-rise executive condominiums with a GDV of RM1.17bil), Lake Vista @ Yuan Ching (high-rise development with a GDV of RM915mil) and Sea Esta, Pasir Ris (condominiums with a GDV of RM897.5mil). The projects have a take-up rate of 92% to 100%, except for Lake Vista @ Yuan Ching which has a take-up of 71%. They are expected to be completed from end-2013 till 2016. In China, Sunway is presently involved in joint-venture property developments in Jiangyin City (in Jiangsu Province) and the Sino-Singapore Tianjin Eco City. In Jiangyin City, the group, via a joint venture with Shanghai GuangHao Real Estate Development Co Ltd, is developing a 1,200-unit condominium project with a GDV of RM466mil. It is Sunway's maiden project in China and has achieved a take-up rate of 80%. In the 7,500-acre Sino-Singapore Tianjin Eco City, the group is developing a 98-acre site which has a GDV of RM5.3bil over the next five to seven years. 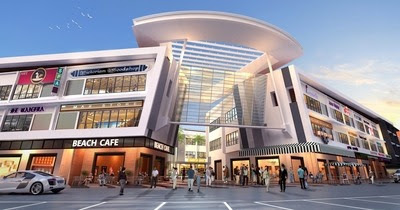 Sunway has plans for this project to be launched in 2013. Ho is confident about Sunway continuing to enjoy strong property sales despite talk by industry researchers and analysts about a perceived slowdown in transactional activity within the luxury residential market, due to tougher lending guidelines imposed this year. He points out that Sunway has a diversified portfolio of properties in different price categories as well as different geographies, catering to various target markets. Ho says Sunway's properties come with well-planned facilities and infrastructure, comprehensive security features, and are strategically located in prime locations. Sitting in the vicinity of Bandar Tun Hussein Onn, Windows on The Park will be one of the few in the area which is still surrounded by greeneries. WHILE it is a common strategy for most property players to have a certain amount of land bank, Selangor Dredging Bhd (SDB) has a different approach when it comes to property development. 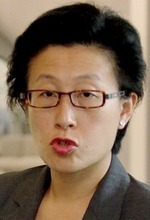 Managing director Teh Lip Kim says: “We don't have a land bank. We buy and develop based on what is not available. 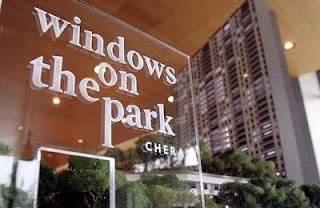 Windows on the Park is another project that follows the company's niche to provide products with a strong concept. Sitting in the vicinity of Bandar Tun Hussein Onn in Cheras, Kuala Lumpur, the planned high-rise residential will be one of the few in the area which is still surrounded by greeneries. Currently, there is an 11-storey apartment developed by Yuwang Development Sdn Bhd next to SDS's showroom. Besides that apartment, Yuwang has other products like double-storey semi-detached houses, 2-storey terraced houses and three-storey shop offices in Bandar Tun Hessein Onn. Uda Holdings Bhd too has projects near SDB's site. “We do something different and give customers what they want that is not available in the area,” Teh says. The highlight of the project is the park which was planned before the building. “You go high-rise so that there is a lot of space for trees and a park,” she quips. There are three parks: a quiet park, an active park for teenagers and the central park where shared amenities like the gym, swimming pool and a multi-purpose function room are. One can tell how much emphasis the company places on the 4.2-acre park when Teh shows the landscape model even before she starts. “We want to come out with a park that is more natural, with multiple layers of terrain as compared with a flat landscape,” she enthuses. With the different undulation created, one would be able to see a park that resembles a jungle. “We have a three-tier planting. When residents look down (from their windows), they see three different layers of rooftops which include three-tier planting for trees and three-tier planting for shrubs,” she elaborates. There is a 800-metre jogging track at the park so people can feel like they're running in the jungle, she claims. One may wonder if it costs a lot to maintain parks that cover more than 40% of the total surface area? “We know the types of plants to choose. We even have horticulturalists to help us choose plants that are easy to maintain and does not affect the ground,” she assures. “Retaining the park will be important because it is the concept that appeals to buyers. We don't want the trees to die after one year!” she exclaims. The whole idea is to provide city dwellers an opportunity to own a piece of the park without having to go to a public park. “Basically, we want people to be able to come out from the confines of their own homes to enjoy nature,” she explains. The apartments were planned in such a way that every unit can oversee the parks surrounding them. “To symbolise this, there are big openings in the blocks that allow visitors to see through the greeneries when they drop off someone,” she says. As for the unit, she emphasises on spatial planning so that the space within a unit is well-balanced. According to Teh, natural lighting is an important element in SDB's projects. In terms of safety, the area is gated and guarded. The buildings were also earthquake resistant. The development consists of three blocks totalling 540 units with a gross development value of RM513mil. It sits on 8.98-acres of freehold land. Selling prices start from RM550,000 for the 916-sq-ft unit which works out to be about RM600 per sq ft. Prices go up to RM2mil for the penthouses. 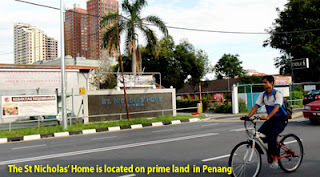 The site is accessible via SILK Highway, Lebuhraya Cheras-Kajang and Lebuhraya Sg. Besi. There are two proposed MyRapid Transit stations within 4km from the project site. GEORGE TOWN: At least three major property developers are believed to have put in bids for a prime plot of land on the island, which currently houses a residential and training centre for the visually handicapped. Business Times understands that the three that have submitted bids for the land in Pulau Tikus, where the St Nicholas' Home now stands, are SP Setia Bhd, Sunway Group, and Penang's very own BSG Property, the property arm of the Boon Siew Group. "The bidders made their presentations to the island-based landowners the Anglican Church. They are awaiting word for a second round of presentations in Kuala Lumpur to the Anglican Church," said an industry source. It is further understood that the earliest a decision will made on the status of the land sale by the Anglican Church will be next year. The 74-year-old home (which used to be known as St Nicholas School for the Blind) sits on a 2.4-hectare piece of land, which serves as the nation's first education and rehabilitation institution for the blind. The source said that the proposed sale will likely involve a land swap and the successful bidder will also have to build a new school for the home at an alternative site. "The owners are also insisting that a new church be built at the existing site to replace the Bagan Jermal Anglican Church," added the source. The 2.4ha site, which is currently zoned for education purposes, is valued at about RM300 psf, according to property experts. The location is considered to be prime, as it is nearby major amenities such as the Penang Adventist Hospital and the Penang Chinese Girls High School. Other assets owned by the Anglican Church in Penang include the landmark St George's Church along Lebuh Farquhar which was built in 1816 and serves as Southeast Asia's oldest Anglican church. In 2007, the federal government declared the building one of 50 National Treasures of Malaysia and it underwent a major restoration exercise in 2009. DURING the major festivals in this country, we see the authorities conduct vigorous enforcement activities on various price-controlled food items. This is to prevent unscrupulous traders from exploiting the situation by increasing prices of what are deemed as essentials. Sometimes they even secretly stock up such items to create artificial shortages. It is outright profiteering. We often read about wayward traders being taken to court simply for failure to display prices. Whether such measures breach our free market policy may be open for debate. The bottom line is that it does curb profiteering to a certain extent. Having said that, we would now like to refer to the present scenario in the housing arena. Affordable housing is now the buzzword. There is no denying that the price of suitable housing has reached a crisis level, beyond the affordability of the average wage earners. This is a highly undesirable situation and, if left unchecked, it can lead to adverse and far-reaching problems. We will end up with a whole generation who will be tenants, subjecting themselves to the whims and fancies of landlords, or who have to commit a vast proportion of their household incomes to service house mortgages. Bear in mind that the Malaysian household income to debt ratio is among the highest in the world and that the bulk of these debt is incurred in the servicing of house mortgages. Those who are tenants face the uncertainties of landlords either increasing their rentals or even evicting them. The mortgage group faces a delicate and risky situation where they may get into financial trouble if events do not turn out well. These include the raising of interest rates by financial institutions, any downward trend of property prices, drops in their incomes or the cropping up of other emergencies. Yes, house prices will go up given any period of time due to natural inflationary forces. This is probably beyond the control of any party. But the recent spate of price escalation is certainly not due to natural forces, the cost of building materials or construction costs, much as industry players would like to make us believe. In the case of land cost, it is a chicken and egg situation. If house prices have been pushed up (either speculatively or naturally), it goes without saying that land owners would expect higher prices for their land. It is also not due to shortfall of supply over demand as National Property Information Centre (Napic) figures show otherwise. Rather, it is due to unbridled speculative forces. On the real property gains tax (RPGT) in Budget 2013, it is unfortunate that our Prime Minister has been ill-advised on the true situation. The rakyat can expect to see an increase in speculative property investments which will in turn further drive up the prices. Typically, if the property is purchased directly from the developer, it takes 2 years (for landed properties) and 3 years (for strata properties) to be completed. During these construction stages, house buyers are not allowed to sell their properties without the consent of the developer and can only sell the properties after they have been completed. What the revised RPGT means in lay-man terms is that speculators can purchase properties from property developers upon launch and then flip these properties on after 2 years and having to pay only the proposed 10% (i.e. within the 3rd to the 5th year). After the 5th year, all profits are not taxable. With additional attractive financing packages, very often these speculators just need to pay the 10% downpayment and walk away with a lucrative gain at the end of the construction period. Stronger and more positive governmental intervention is critically required. We are not suggesting that houses should be subjected to price control like other commodities. But we would like the Government to put in measures to discourage speculation. Alter the landscape to make it less encouraging and less worthwhile for speculation to take place. We have heard housing developers claim credit for having built X-million number of houses and having created immense wealth when the houses appreciate in value. We also see large numbers of speculators who reap immense profits by just buying/booking and flipping over their purchases and reaping enormous profits. While industry players have cited a host of other causes not all are justified. In any event, the escalation of house prices is good for them as it encourages quick sales brought about by an artificial shortage. On the humanitarian side, there is nothing to feel good about. Speculative profits are not real profits. Speculators are, in effect, taking money from our future generations to enjoy today. Our future generations and under the prevailing circumstances, even the present generation as well will suffer the effects of exorbitant house prices that have resulted in the high household income to debt ratio. This may be legal but it is downright immoral! The country's economy will be an unbalanced one because with such a large proportion of family income committed to house mortgages, a typical household will be compelled to be stingy on other expenditures. Thus, the other industries will suffer. Statistics have proved that the present high income to debt ratio is brought about primarily by house mortgages. It looks like the proverbial horses have already bolted and we are still dragging our feet in closing the barn door! We do not see the logic when the Government is so serious about controlling the prices of essential items such as cooking oil, sugar, chicken and a host of other essential items but yet on the subject of house price, it has allowed the situation to remain laissez faire. We believe that the issue of affordable houses is even more crucial than some of the price-controlled items because one can always find alternatives or reduce the intake of some of those items. But the alternatives for a roof over one's family are the squatter areas, the shelters under our highway flyovers or the five-foot paths in front of shophouses! While PR1MA is a good move (barring some of our apprehensions), it is also a typical case of treating the symptoms rather than the cause. In this case, the cause is unbridled speculative activities. SINGAPORE introduced yesterday measures to prevent a bubble in its housing market and ensure more prudent lending by banks after property prices rose at a faster pace in the third quarter. Beginning today, the maximum tenure of all new residential property loans will be capped at 35 years, with loans exceeding 30 years facing significantly tighter loan-to-value limits, the Monetary Authority of Singapore (MAS) said in a statement. Other measures introduced by the authority, the country's central bank, included a lower loan-to-value ratio for residential property loans taken up by companies and other non-individual borrowers. "We are taking this step now to require more prudent lending, and will continue to watch the property market carefully," MAS chairman Tharman Shanmugaratnam said in the statement. "We will do what it takes to cool the market, and avoid a bubble that will eventually hurt borrowers and destabilise our financial system." Tharman, who is also deputy prime minister and finance minister, said quantitative easing by central banks and low interest rates had resulted in easy credit but the situation would eventually change. Singapore interest rates are near record lows and home buyers can pay as little as one per cent per annum on their mortgages. "Over the last three years, the average tenure for new residential property loans has increased from 25 to 29 years. More than 45 per cent of new residential property loans granted by financial institutions have tenures exceeding 30 years," the central bank added. Singapore did not previously set a maximum duration for property loans and the longest maturity currently available for homes in the city-state is a 50-year loan offered by United Overseas Bank. Singapore private home prices rose 0.5 per cent in the third quarter from the April-June quarter when prices increased by 0.4 per cent, while resale prices of government-built Housing and Development Board (HDB) apartments leapt 2.0 per cent quarter-on-quarter following a gain of 1.3 per cent in April-June. The last comprehensive set of real estate cooling measures were introduced in December last year when the government imposed an additional 10 per cent stamp duty on the property value that buyers who were not Singapore citizens or permanent residents had to pay.